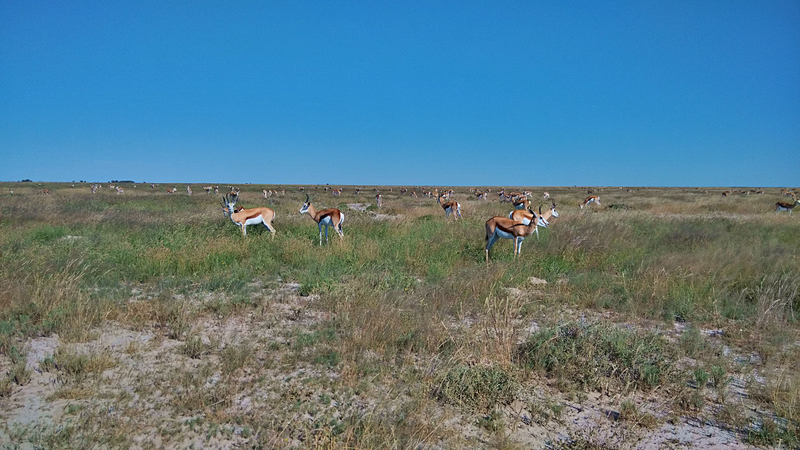 End of April we reached the biggest step of our tour: the Etosha (means great white place, named after the Etosha pan) National park, 1200 qkm of protected area. 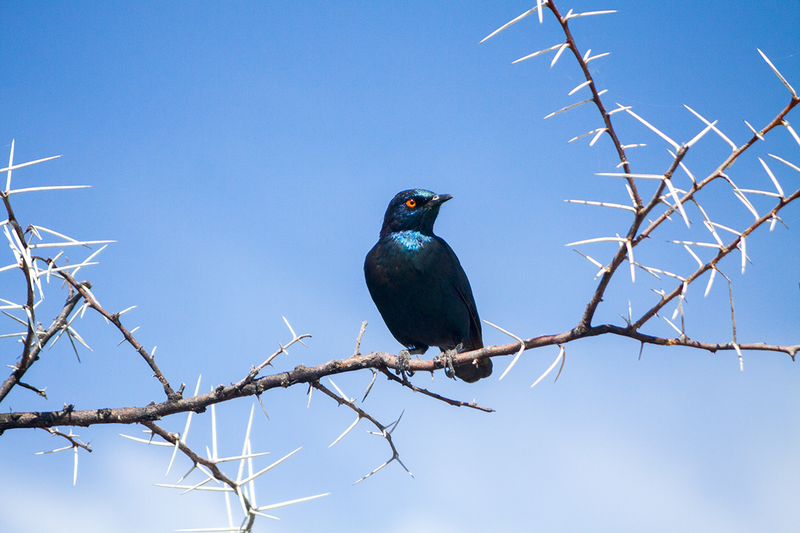 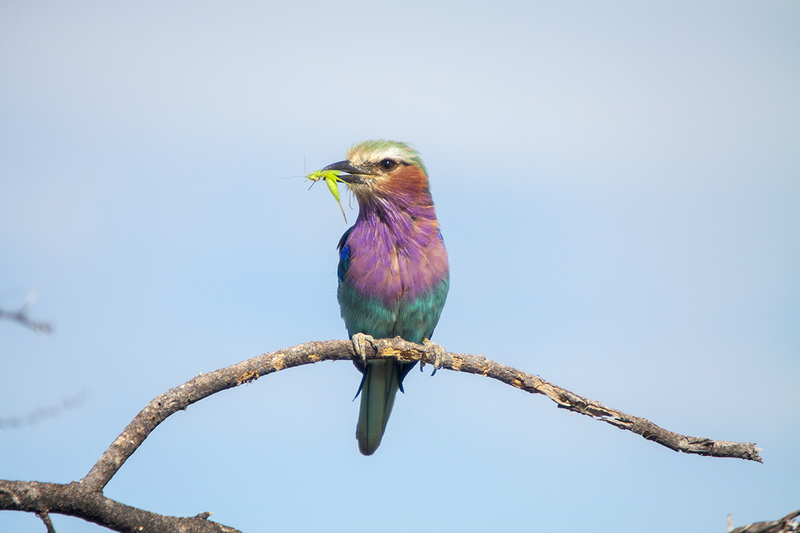 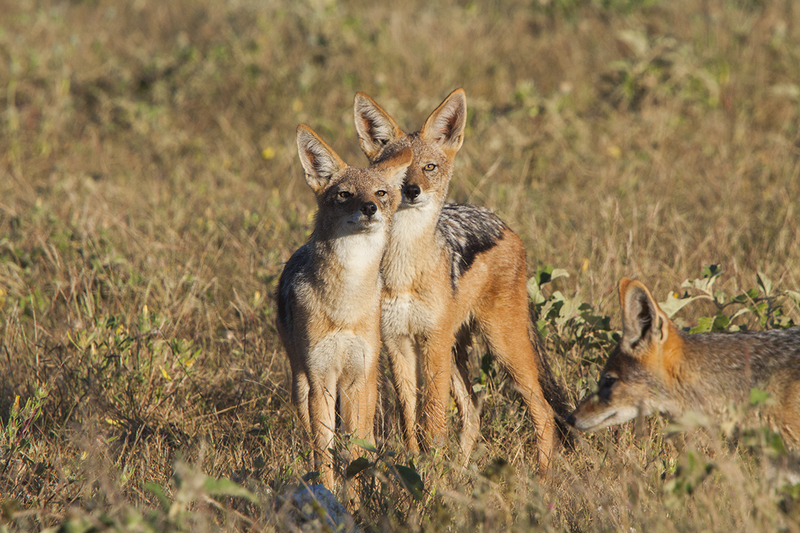 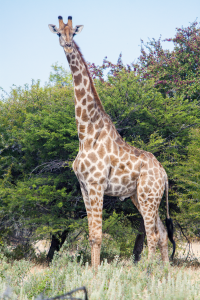 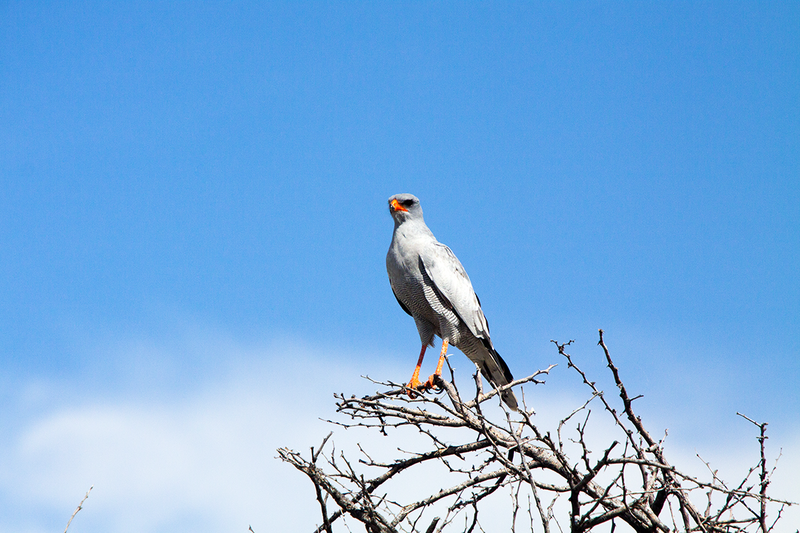 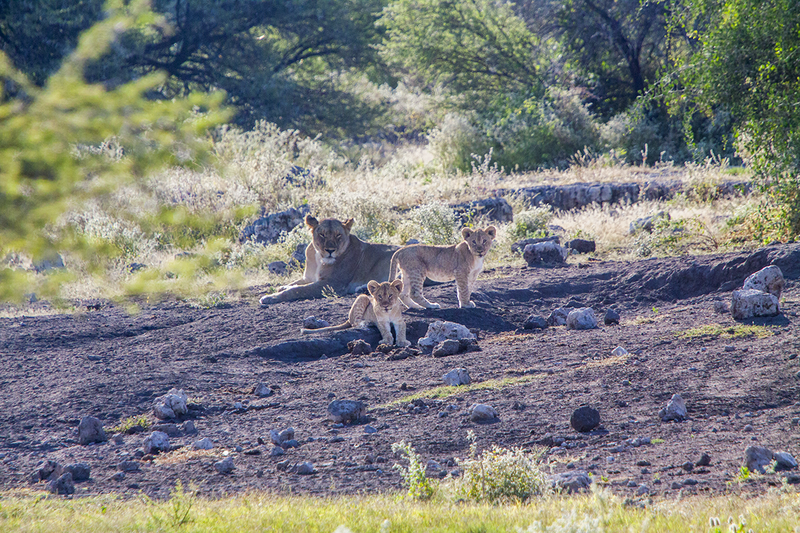 We started our tour in the dolomite camp at the very east of Etosha. 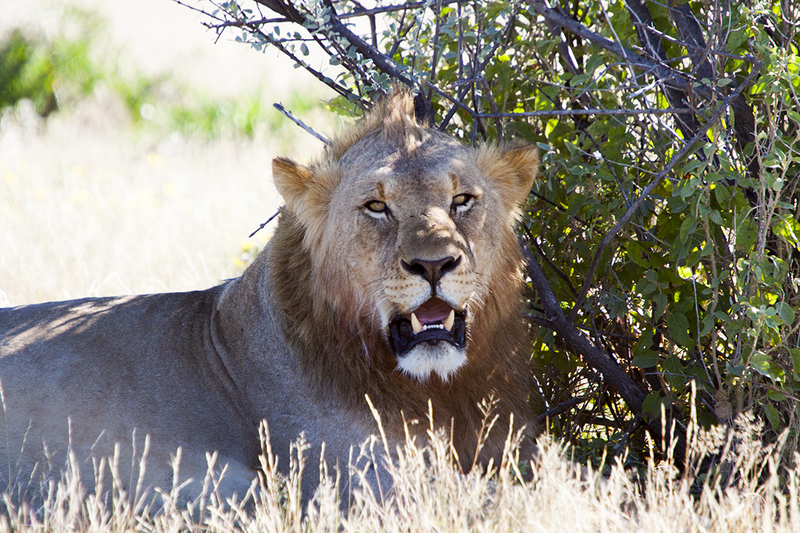 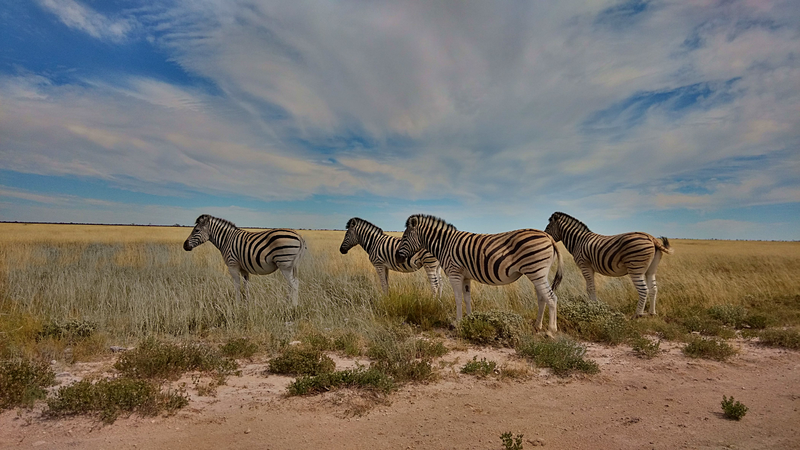 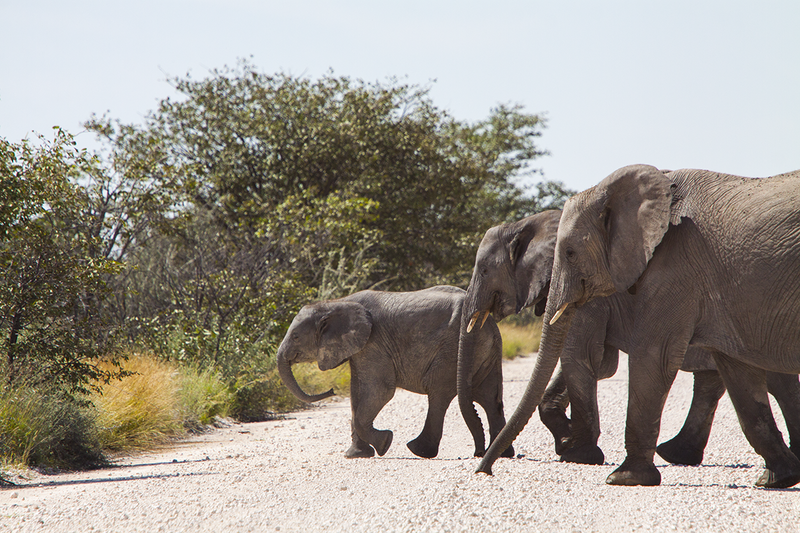 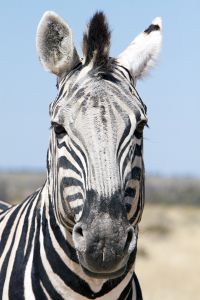 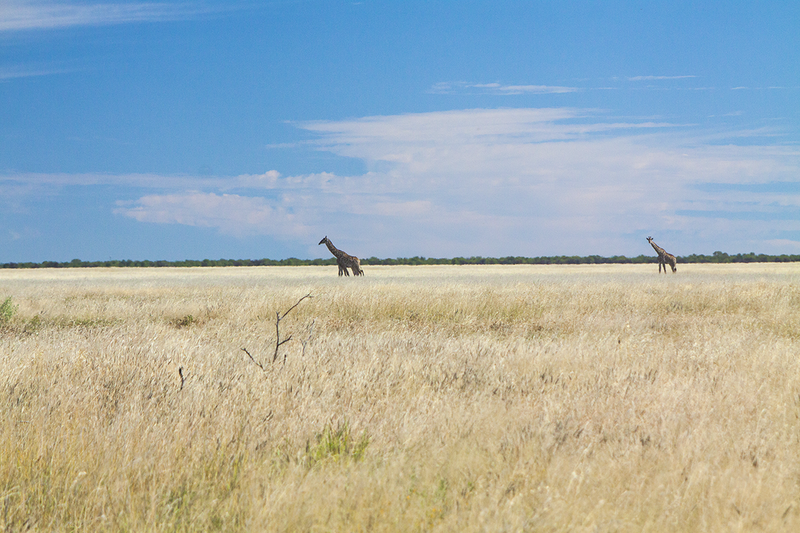 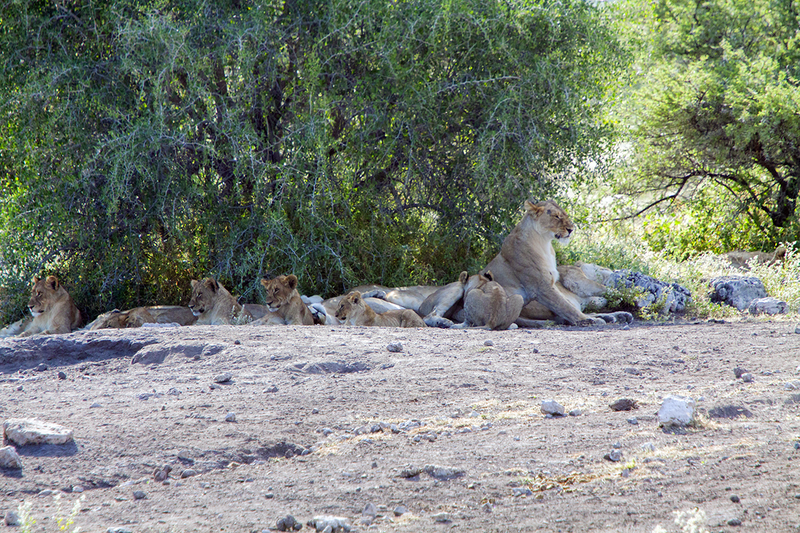 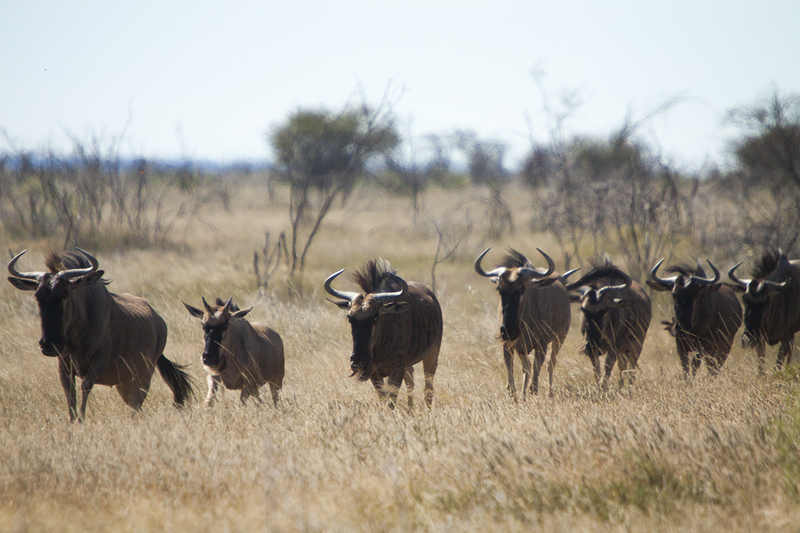 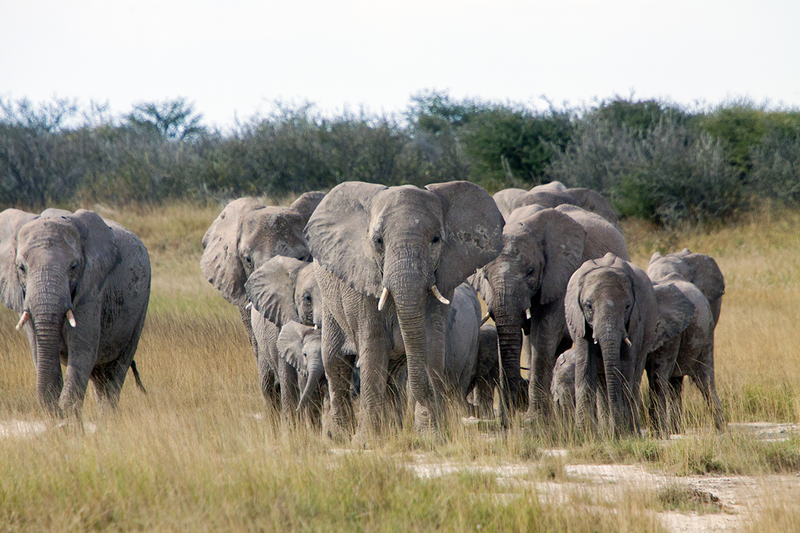 On the next day we traveled to Okaukuejo, where we stayed 2 days and after that left Etosha over Namutoni. 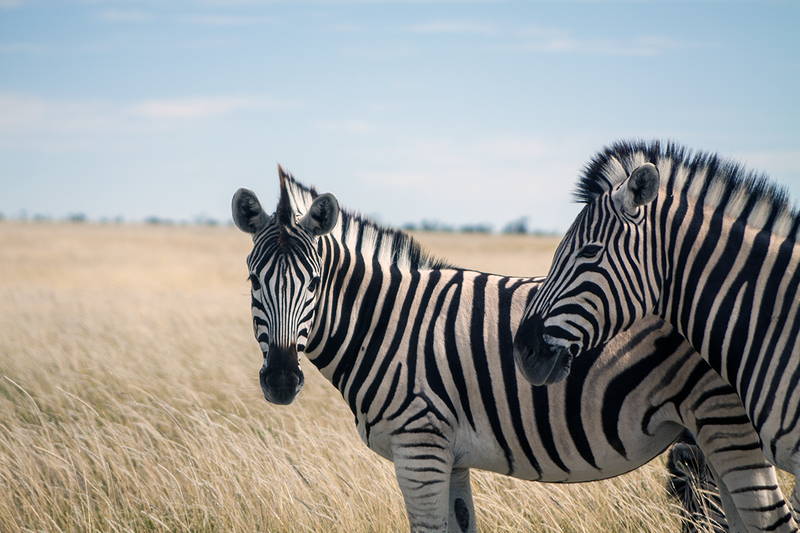 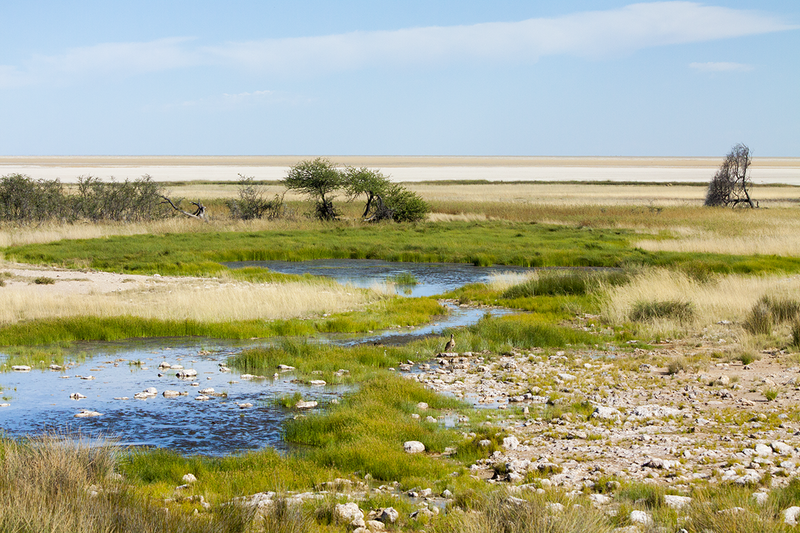 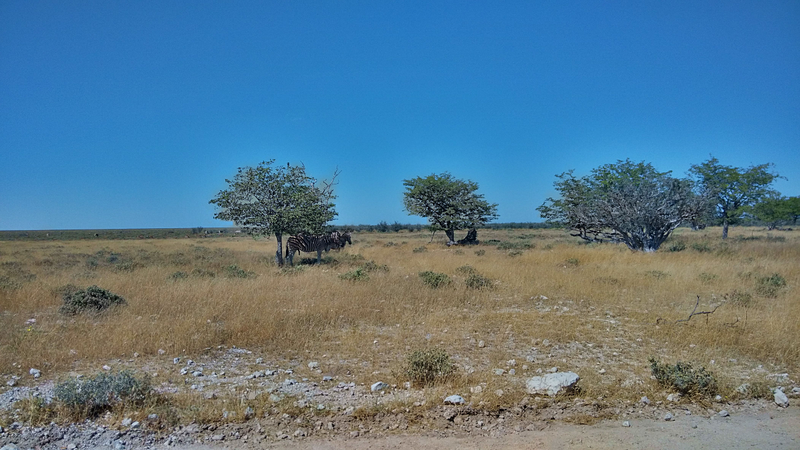 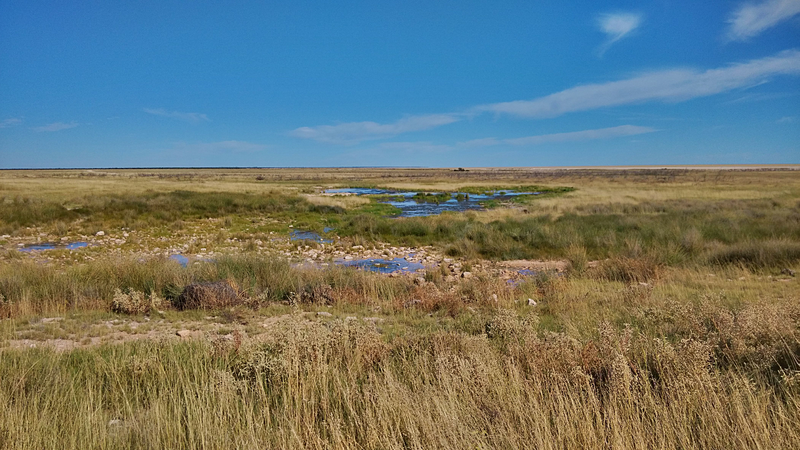 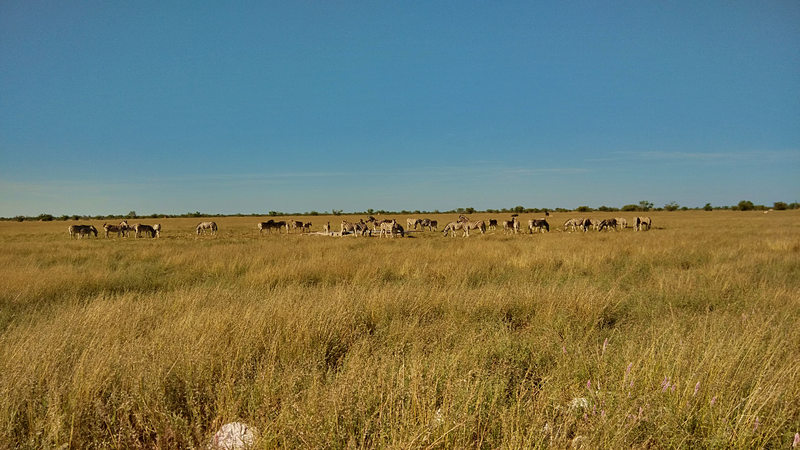 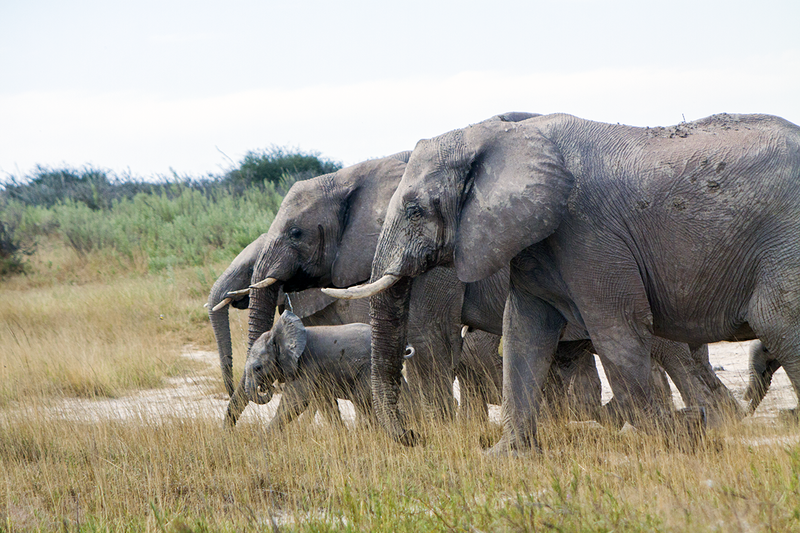 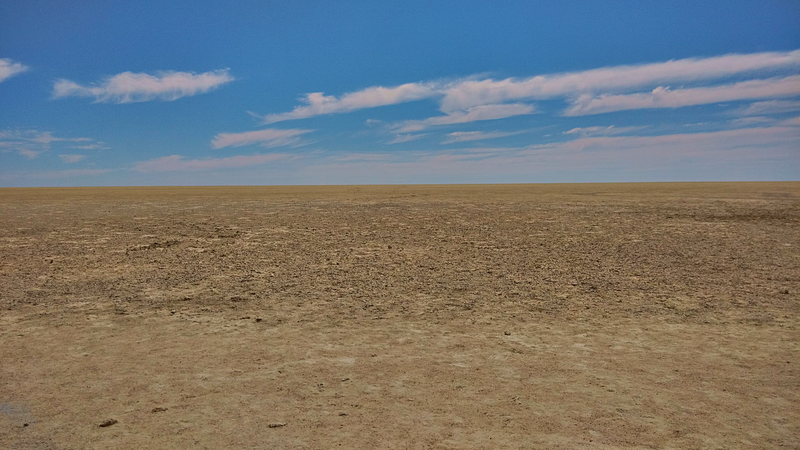 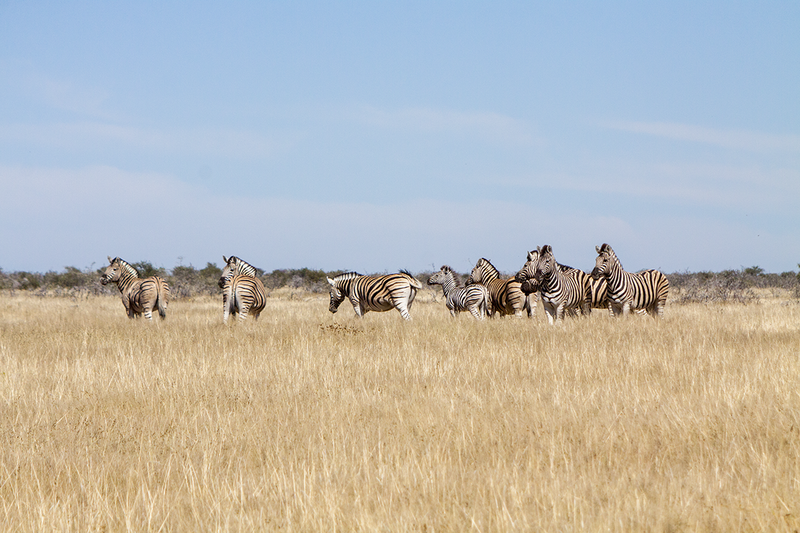 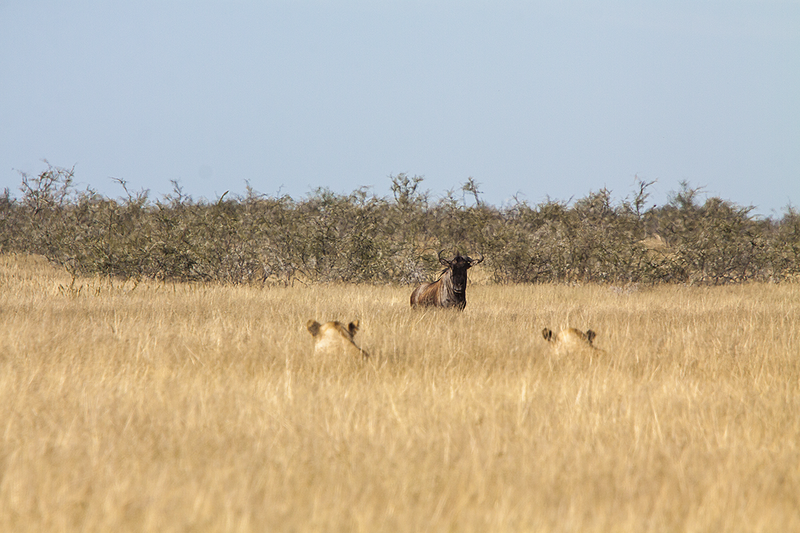 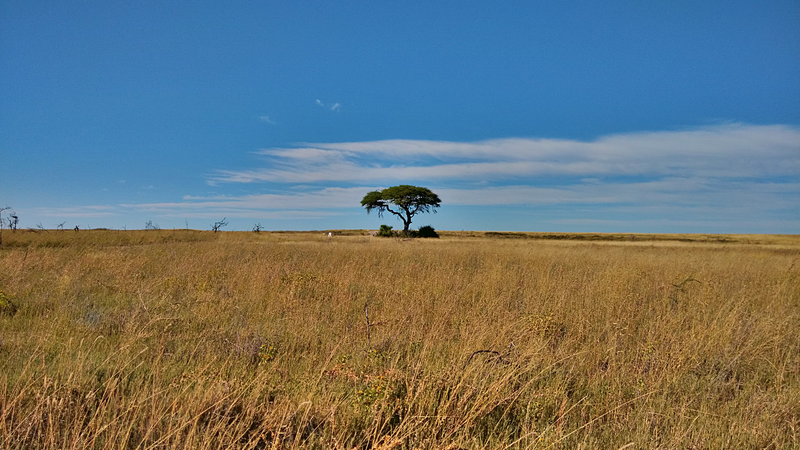 Since it is fall at that time and had plenty of rain before, we were able to see Etosha much more green than normally. 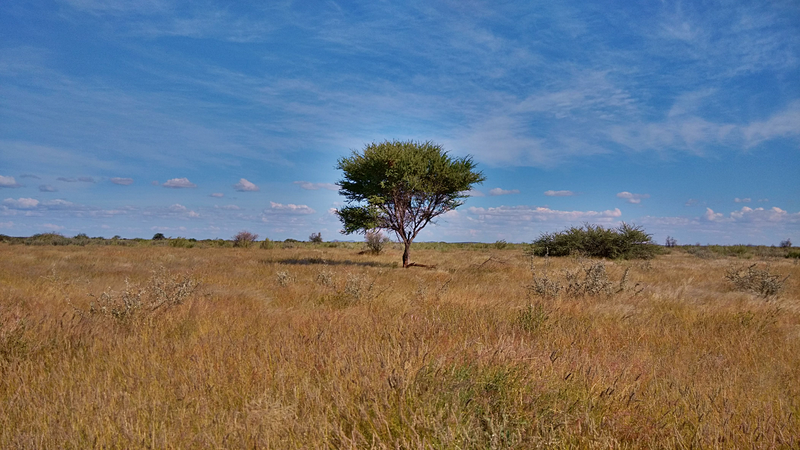 Although this is very nice for pictures it is also more hard to see animals in the dense bushes and gras, but we managed as you can see. 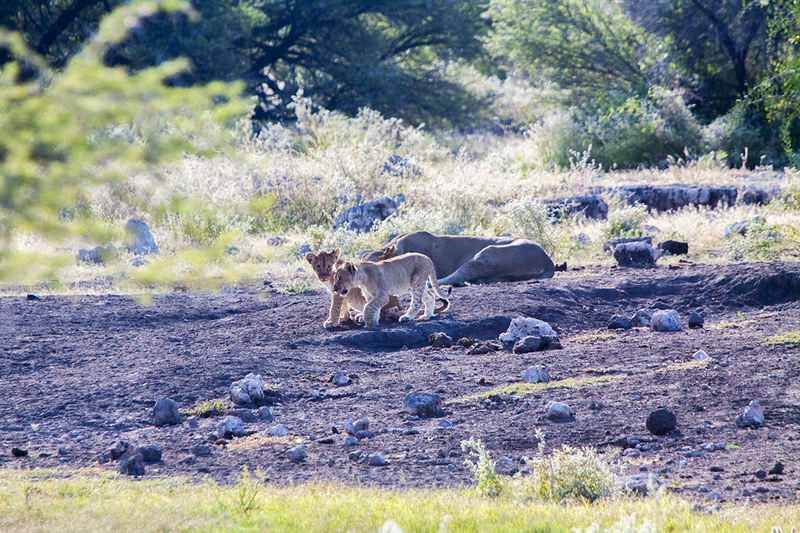 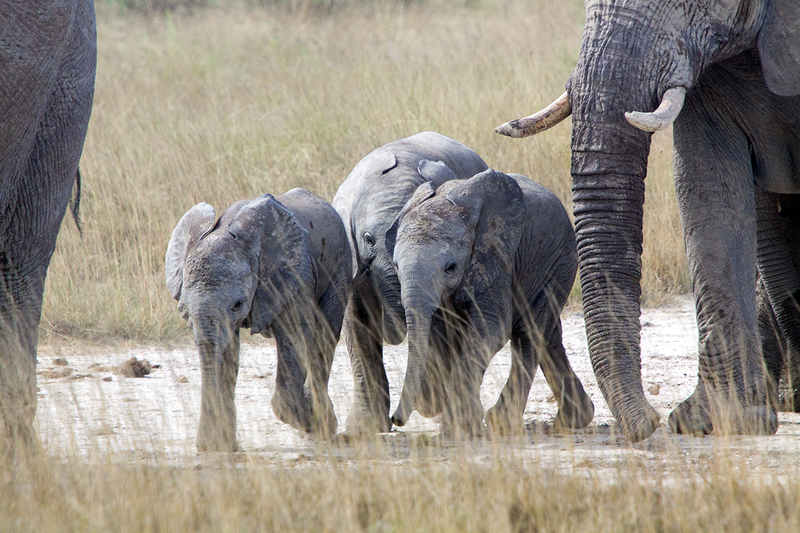 All of the big fives (lions, elephants, buffalo, rhinos, leopards) except for the buffalo can be found there. 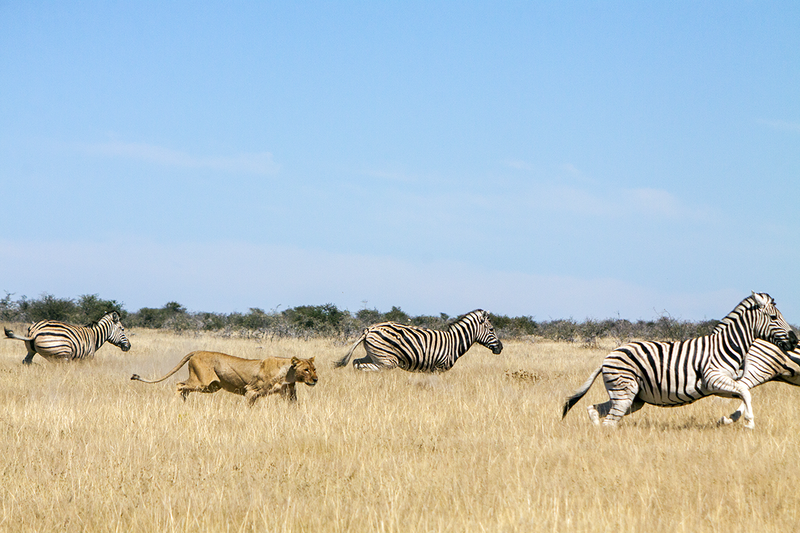 On the left picture you see two lioness confronting a wildebeest. 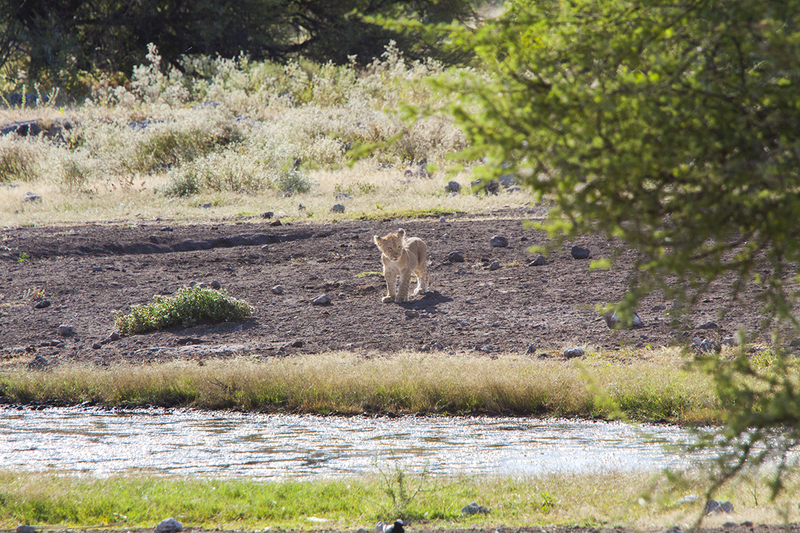 We were very fortunate to see some hunting lioness. 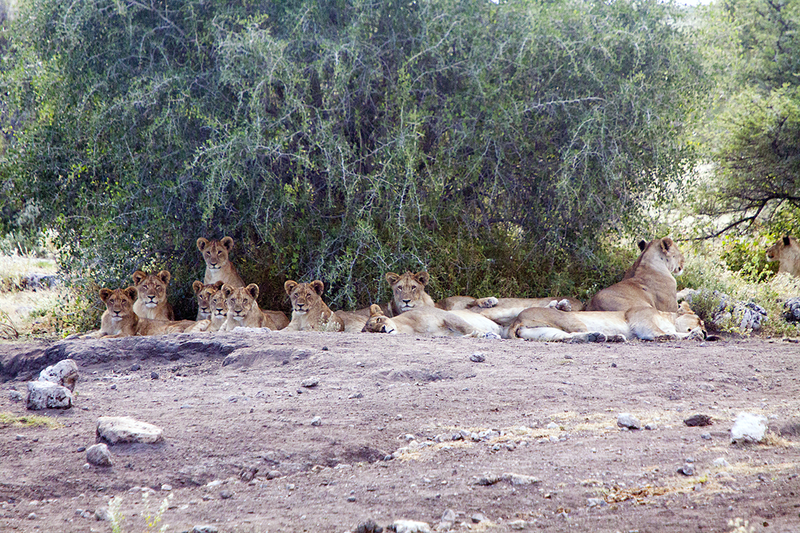 A pride with over 20 lions. 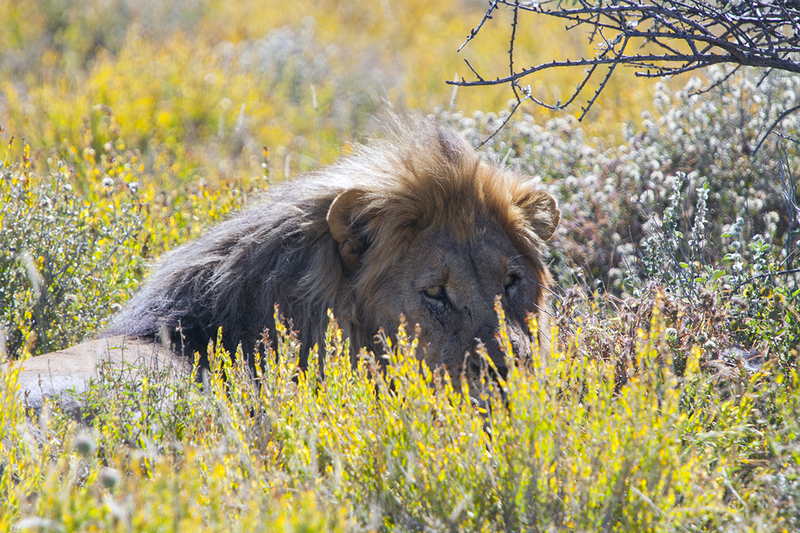 A young male lion resting in the shades. 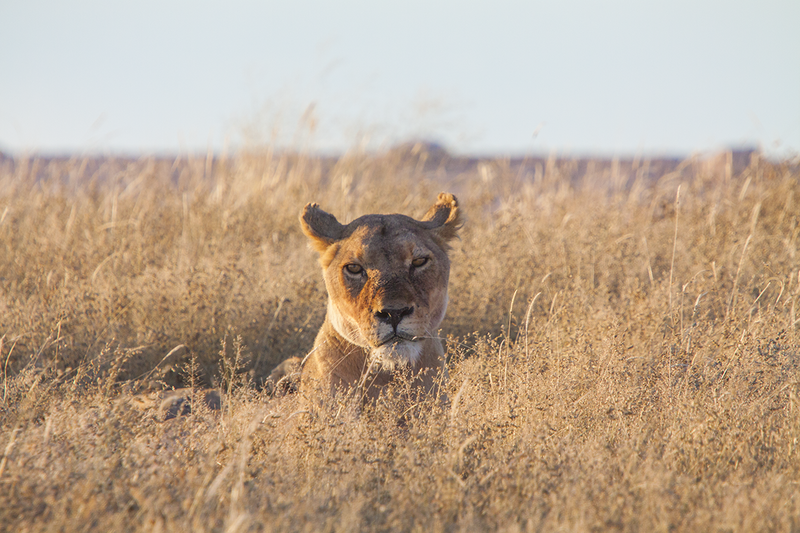 One of the hunting lioness. 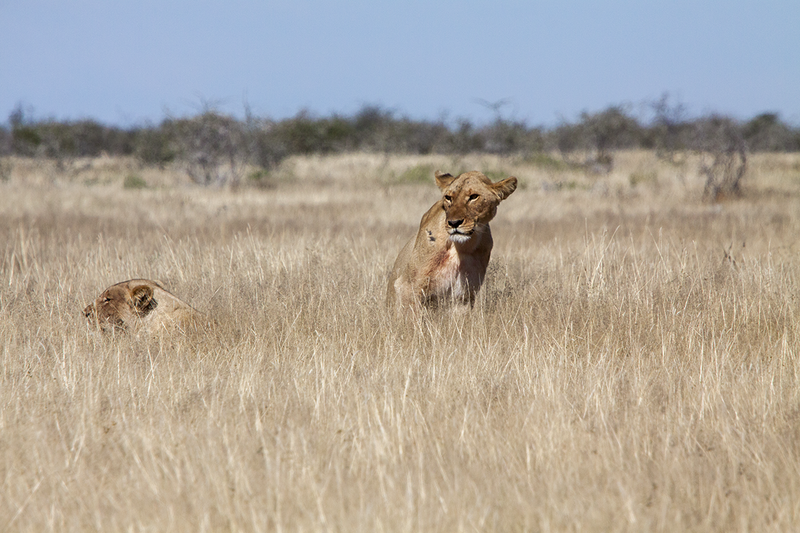 Two lioness waiting for the next hunting opportunity. 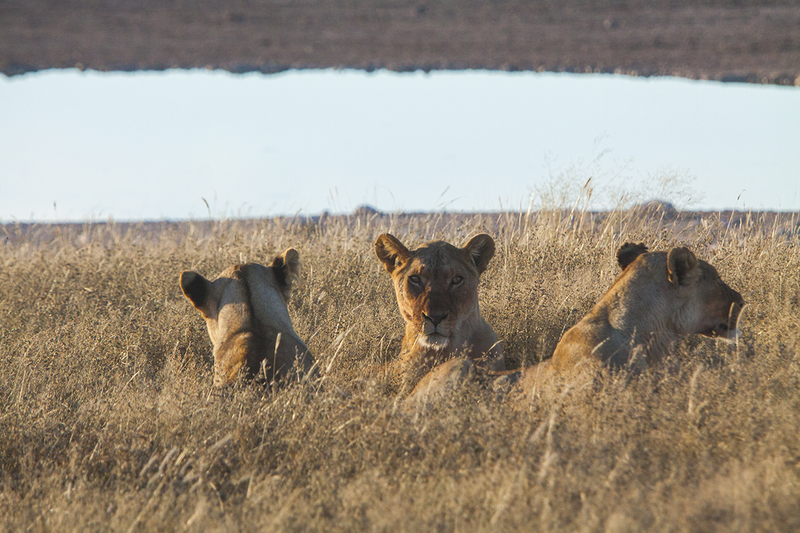 Three lioness watching different directions. 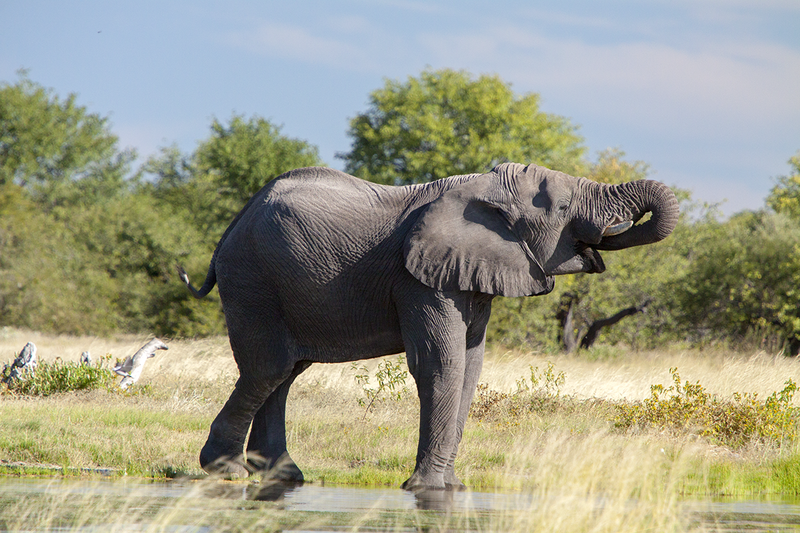 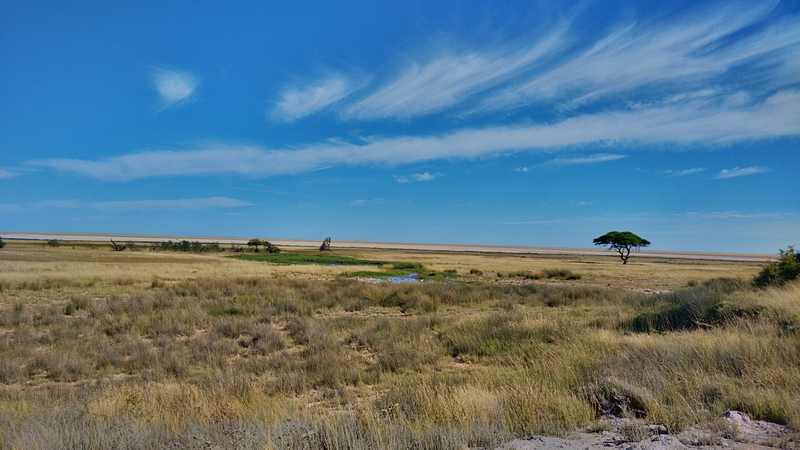 Waterhole before the Etosha pan. 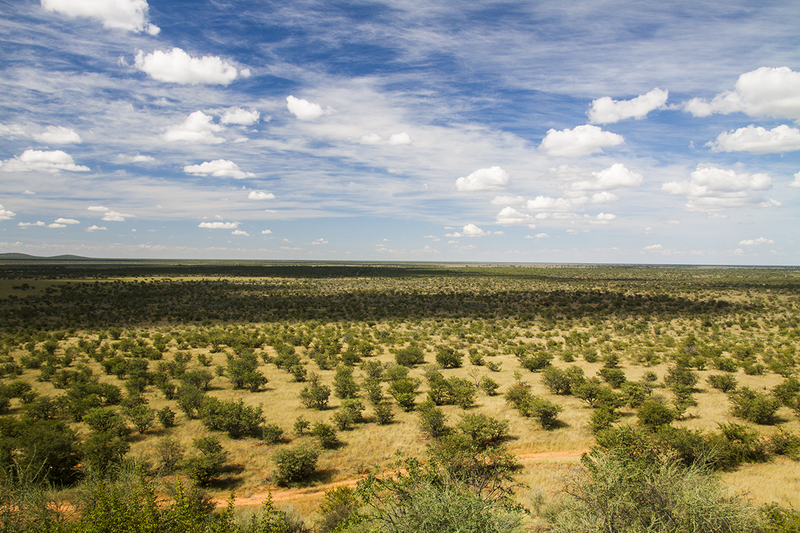 Savannah from the dolomite camp. 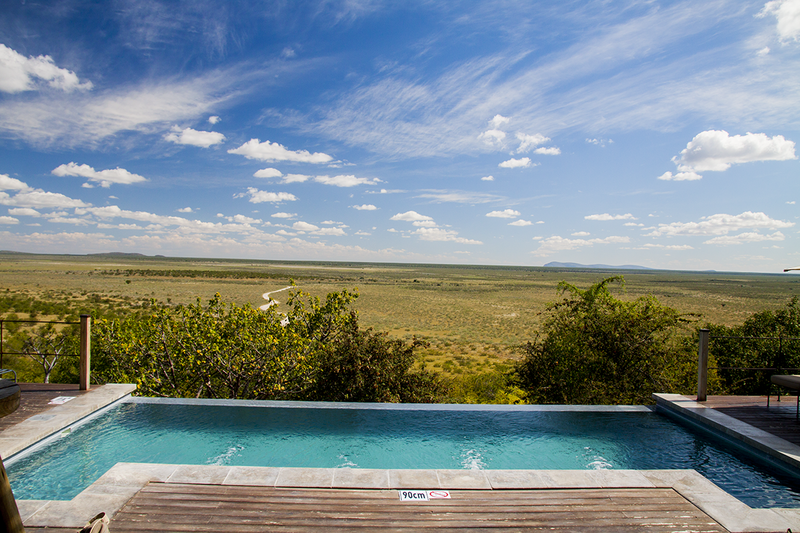 Swimming pool of the Dolomite camp. 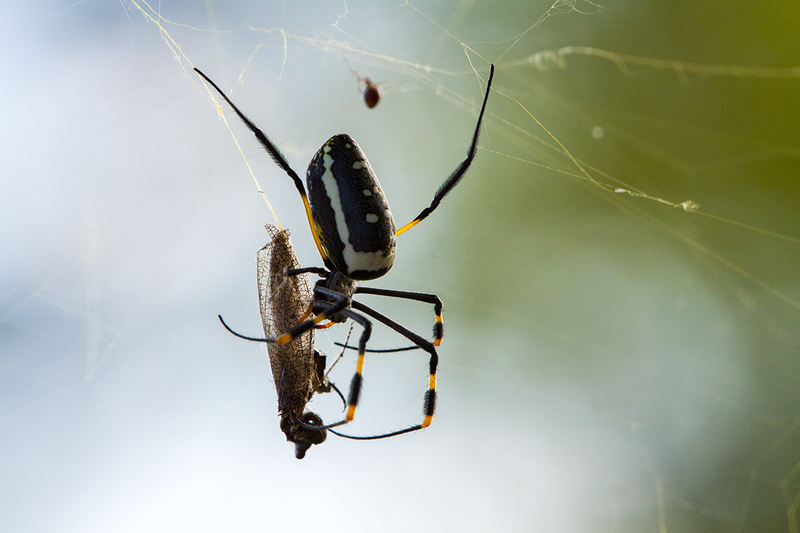 Big spider eating a moth. 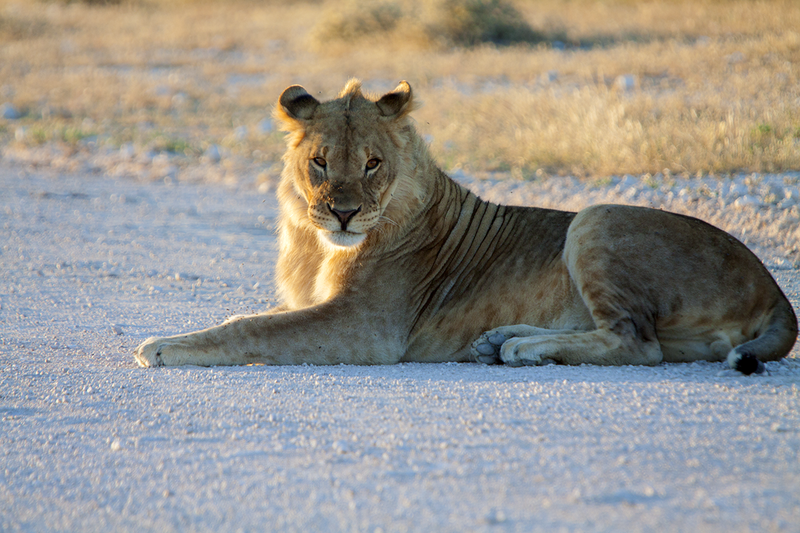 A young lion blocking the pad. 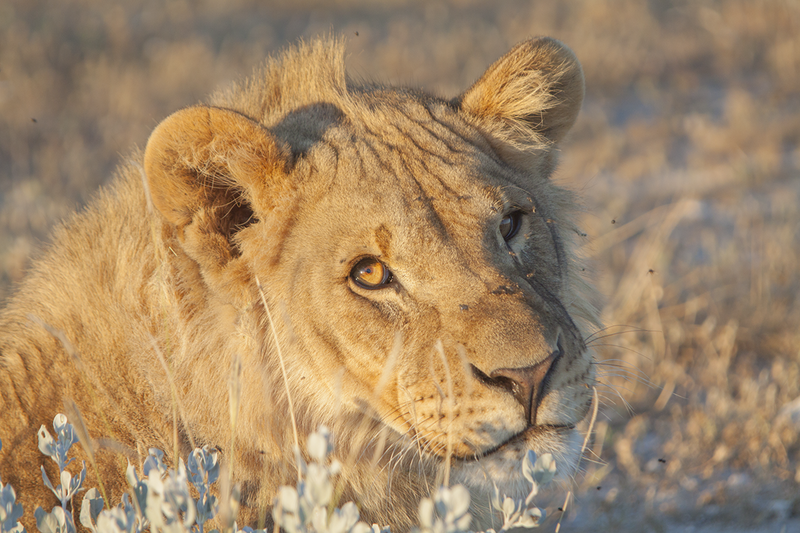 A close shot of the lion. 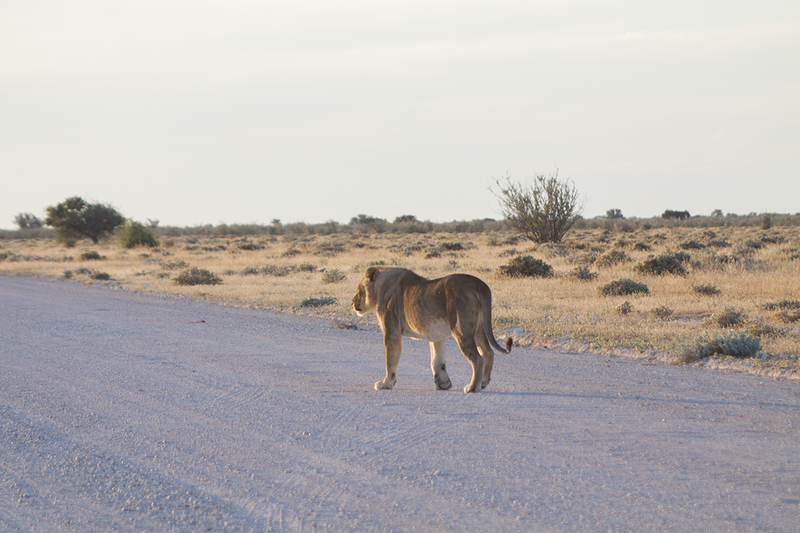 Lion walking on the pad. 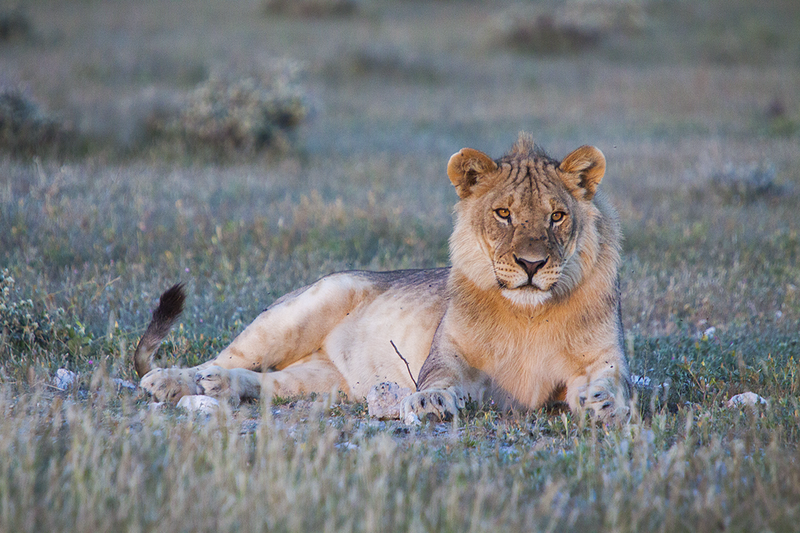 Young lion in the evening sun. 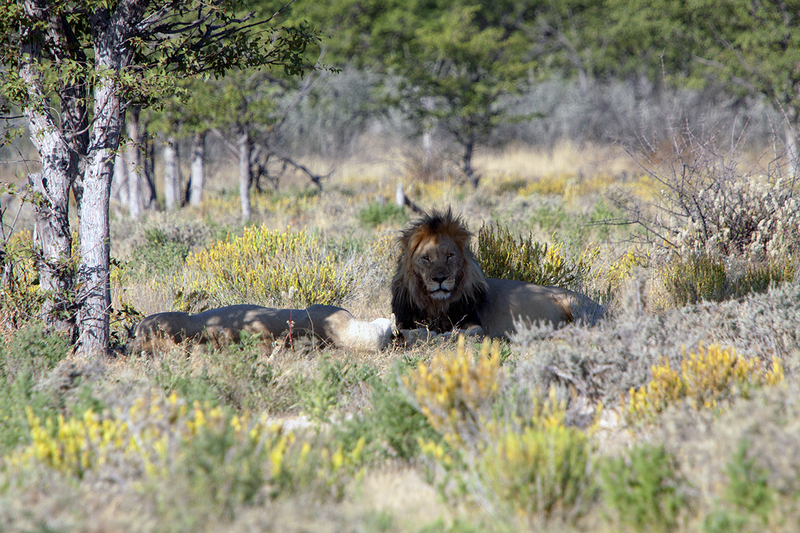 This lion was not very pleased about our presence. 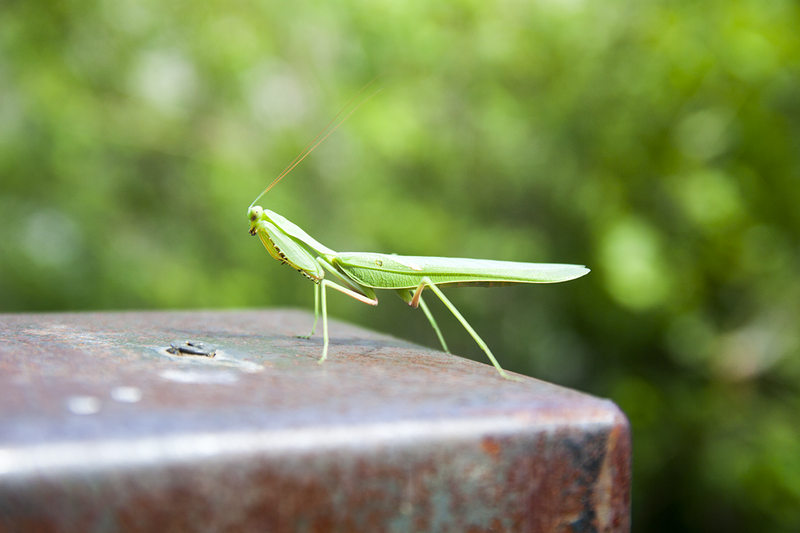 This mantis was in our Lodge. 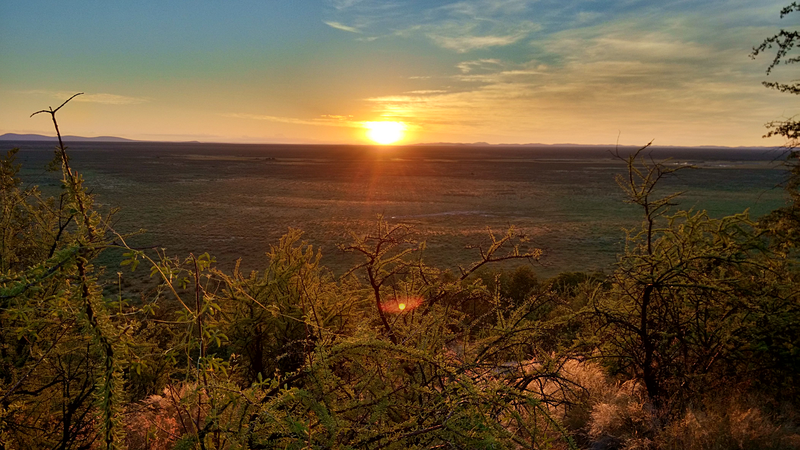 Sunset in the Dolomite camp. 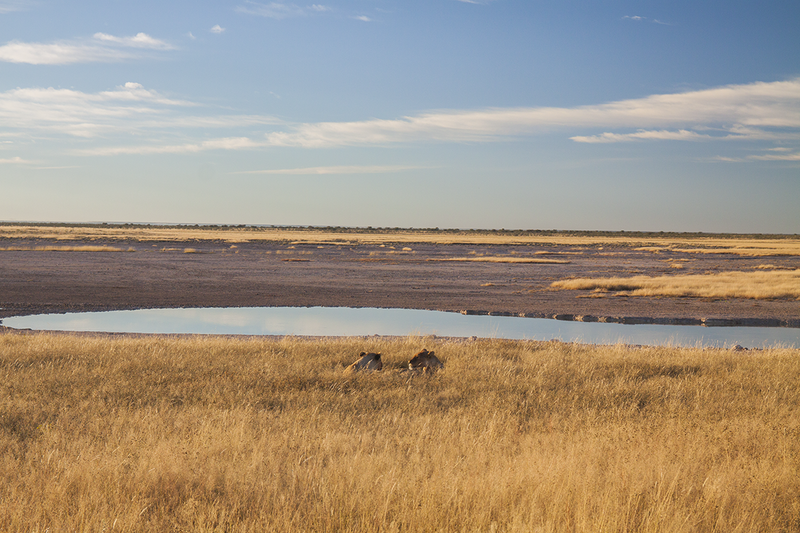 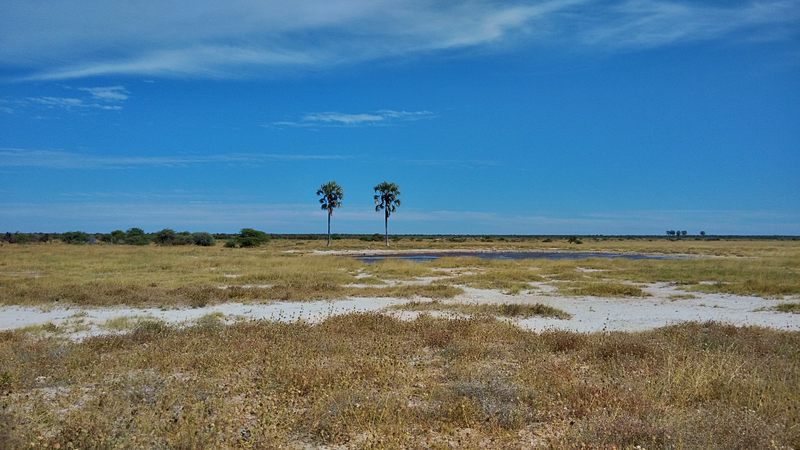 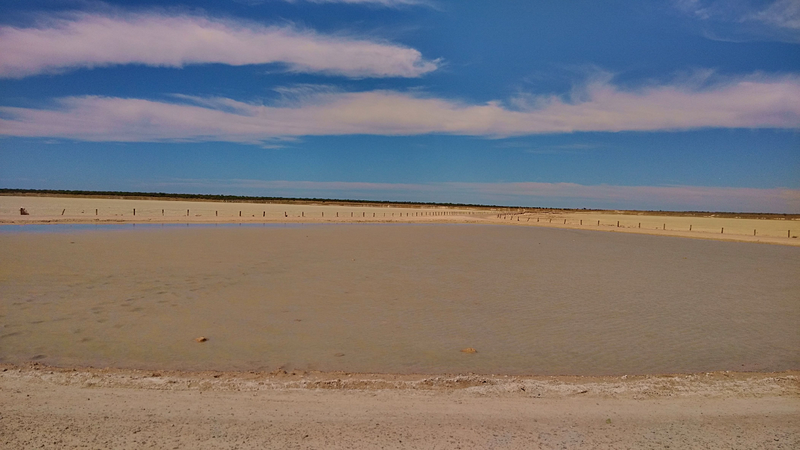 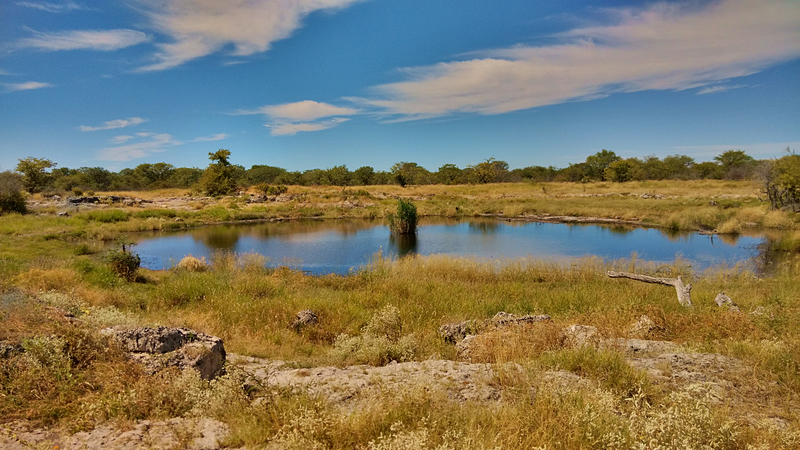 Waterhole with the Etosha pan in the background. 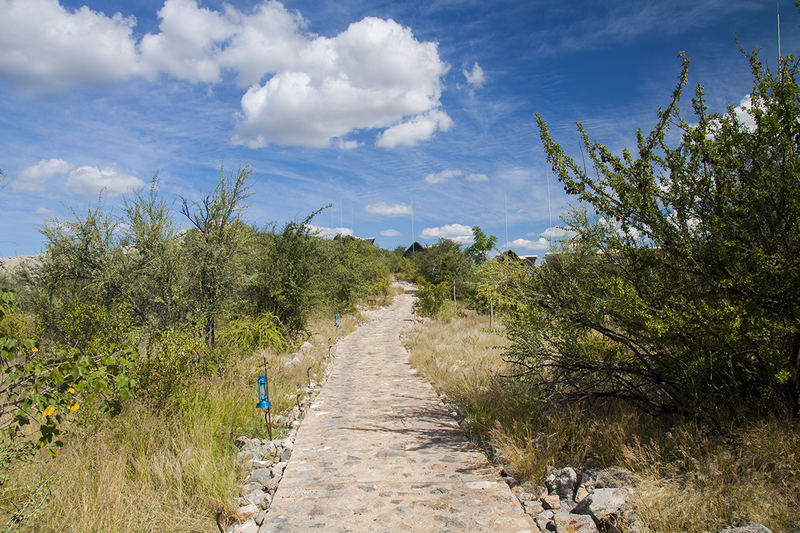 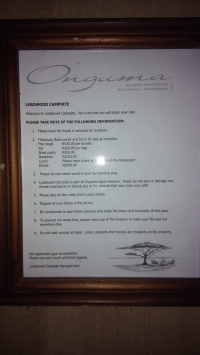 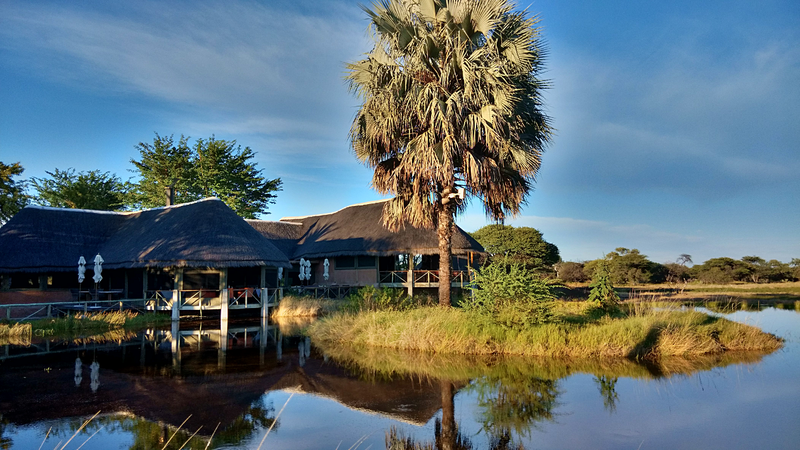 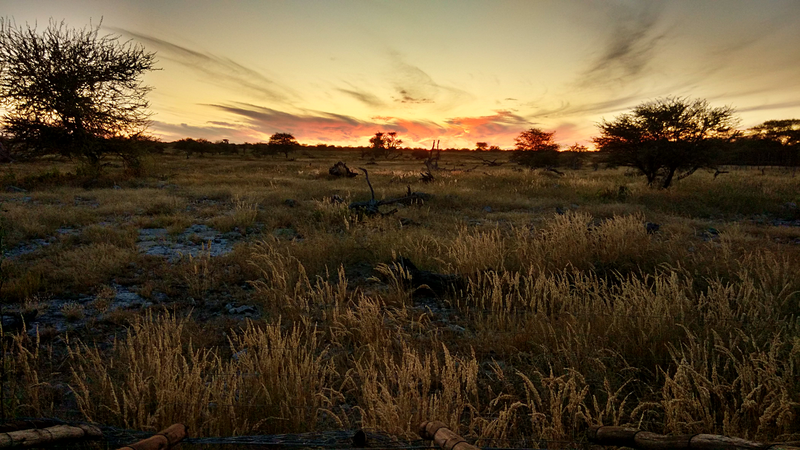 Leadwood camp before the Etosha National park.